This odd-looking person from your worst nightmare looks like something that crawled out of the bowels of Chernobyl years after the nuclear accident that rendered the area uninhabitable forever. But, he isn’t some crazy monster from the leftover ruins or even a character from a post-apocalyptic video game or movie. 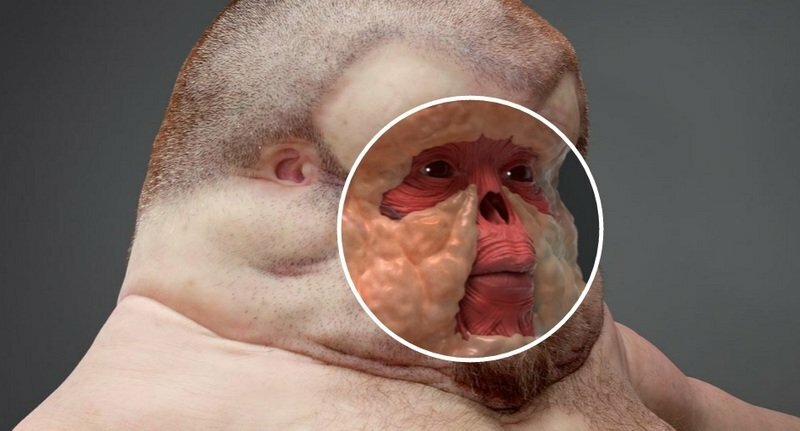 No, he is one artist’s interpretation of what we humans would look like if we evolved into beings that could survive insane car accidents or trauma. This neanderthal’s name is Graham, and I want to tell you a little bit about him. See, the human body just can’t withstand high impact trauma and unfortunately the technology in our cars – enabling us to hit insanely fast ground speeds – have evolved significantly faster than we have. Graham, on the other hand, comes from a place where people smash into walls at 200 mph for fun. With that said, let’s take a look at how we need to evolve and why we would be so dog ugly. First off, Graham still has a traditional human brain just like you and me, but to survive rough impacts to his cranium, Graham has a bigger skull with massive air pockets. There are also more ligaments and more cerebrospinal fluid beneath the skull which helps Graham survive blunt trauma to the dome. 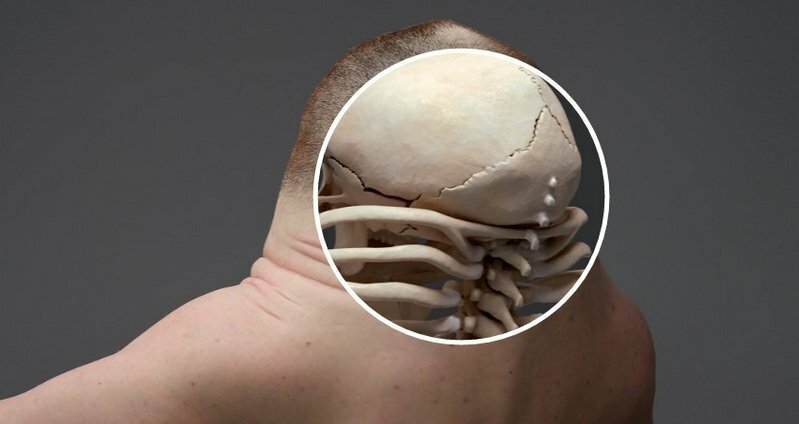 His skull also has built in crumple zones that help absorb impacts and prevent the brunt of the force from getting to the brain. As you can see from the image above, Graham’s face is a lot different from ours – unless you are excessively obese, that is. To protect his sinuses and the delicate body parts hidden behind the cheek bone, Graham has developed a flat face, a reduced nose, and smaller, inset ears. The fatty tissue you see beneath his skin is there to absorb impacts and protect the cheekbones. Then, we have Graham’s neck, which is wildly different from ours. The way we are designed, our neck allows our head to swing about in the event of a sudden crash, but not Graham. Graham doesn’t have a neck, which means that his head doesn’t turn or pivot at all – think of someone who has a fused neck. Furthermore, Graham’s ribcage has been extended up past the shoulders to provide even more protection for his spine. Our ribcage is tasked with the job of protecting our vital organs with nothing more than sheer bone strength. Graham has an evolved ribcage that does so much more than ours. His ribcage is barrel-like, which allows it to withstand greater impacts. That isn’t all, though. 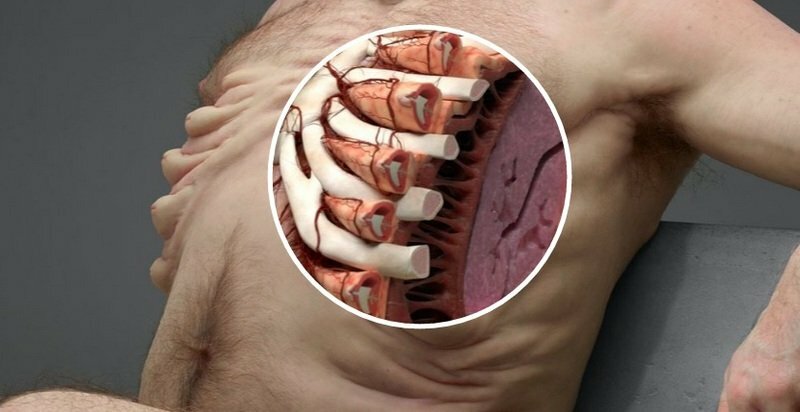 In between each rib Graham has airbag-like organs that absorb force and reduce forward momentum while providing additional protection for the heart and other vital organs. Pretty wild, huh? Our knees have a serious flaw. They bend backward, which allows us to walk, but there are susceptible to damage because they only bend in one direction. Graham’s knees have evolved to include extra tendons and are able to bend in all directions. This prevents the common injuries found with blunt-force trauma to the knees where ligaments or tendons are commonly hyperextended or torn from being forced to bend in the wrong direction. One of the biggest faults our bodies have is the shin bone. The shin is strong, but is the least protected bone in our body, with nothing more than a thin layer of skin to protect them. This part of our body leaves us at risk of debilitation if damaged since we rely on our legs so much to get around. To help prevent Graham from succumbing to debilitating damage in the shins, he has grown an extra, knee-like joint. This extra joint serves two functions. First, it allows the lower leg to bend in the event of trauma, greatly reducing the risk of bone breakage in an accident. And, secondly, the muscles and ligaments around the new joint allow him to jump out of the way in a “spring-loaded” fashion. The best example of this that I can think of is the Alien that Will Smith chases at the beginning of the first Men in Black movie. At the end of the chases scene, the alien’s legs bend backward as he jumps incredibly high against the side of a building. Graham might not be attractive in our Hollywood-inspired sense of the word, but I bet he’ll look a hell of a lot better than you after smashing into another vehicle at 100 mph. And, don’t feel bad for Graham, because he knows how to have fun. He can smash cars into whatever he wants, going as fast as he wants, and you better believe he’s probably not losing a fight, either. We’ll probably never evolve to this point, but it would be pretty wild if we did, wouldn’t it? Who knows – as vast as our universe is, maybe there is a whole race of Grahams on another planet smashing themselves into walls and other vehicles just because they can.